For manufacturing companies facing profit erosion, savvy financial leaders will know to analyze their approach to costing. In fact, we broadly covered the topic of effective costing with long-time industry expert Steve Juarez in our popular blog post, Profitability Problems? Effective Costing May Be Your Answer. 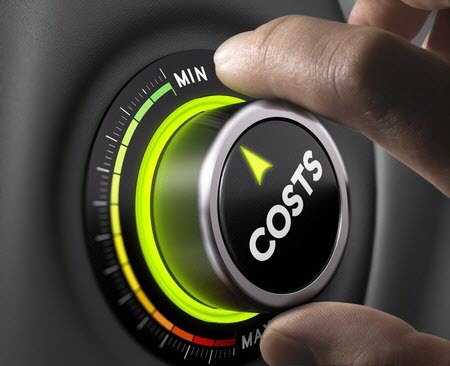 Yet despite the definite, positive impact of effective costing on profitability, there are still many aspects of costing that are misunderstood, and all-too-commonly misapplied. One such aspect is a method known as standard costing. So again, we turned to Steve Juarez for insights. In this blog, Steve takes a deep dive into the dynamics of standard costing, one of the common costing methodologies used to aggregate data for management and financial reporting purposes. Why is standard costing so important for profitability? Why so misunderstood? Steve explains it all here, and discusses standard costing in relation to two key costing areas of manufacturing: the breakout of material, labor and overhead for a product and sources for variances by work order. Q: What are standard costs – and can you provide an example in manufacturing? Q: Why is standard costing so misunderstood? What are the common mistakes? A: In manufacturing, business leaders generally understand the notion of standard costing from a definitional standpoint. The confusion is around how it is applied, measured or benchmarked in financial statements. For example: what do the numbers mean in practical terms for your business? If there is profit erosion, how do you connect costing data from the financial reports back onto the shop floor? Where do you look to make improvements? I’ve also seen a lot of uncertainty around which components comprise a product’s standard costs. Common mistakes include factoring into the product cost your sales staff or your direct delivery cost to customers. While this data is valuable for other analytics, it should not be included as a standard costing input. Q: How is standard costing used in decision-making for manufacturers? A: Rather than assigning actual costs of direct material, direct labor and manufacturing overhead to a product, which can be costly and time consuming, manufacturers can use standard costing to reveal variances between the expected and actual costs. These variances are measured in the income statement, where management will review and analyze material, labor and overhead deviations from the standards. Understanding the root causes of these differences can go a long way in driving process and other shop floor improvements; in turn, driving gross profit improvements. Standard costing also aggregates data to simplify reporting. This of course requires a system that can capture many different process details and transfer them to the financial reporting system. Q: Are most costing problems attributed to a failing manufacturing ERP system? A: Not exactly. Many issues with standard costing data are often the result of how your financial systems are configured. Your manufacturing ERP system should be set up to gather and data mine much of the critical details comprising your costing data (as defined by your costing standards) so that managers can view and develop key metrics to drive continuous improvement. And even within sophisticated systems, these metrics must be tied to your financial/accounting system to be valuable. If your financial system is not configured properly, critical details will get filtered out in the transfer – and that presents huge problems when trying to perform timely and effective root-cause analysis. Q: Can you discuss the importance of a root-cause analysis? A: Sure. Again, the simplest way of understanding manufacturing variances for each component (material, labor and manufacturing overhead) is to evaluate the differences between standard and actual as a price and/or usage variance. Then, the most critical step is digging into the reasons behind those variances to understand how to translate those results into actionable information that drives continuous improvements on the shop floor. For example, why was there excess material usage? Was the variance the result of inefficiencies from breakdown in machinery or equipment? And why did this occur? Is this because we’re not adequately tracking and completing scheduled maintenance on machinery and equipment at the right intervals thereby minimizing unplanned downtime? Your root-cause analysis usually holds the answers to these questions. Timing is vital here, too; the sooner the manufacturing and accounting system reports a variance, the sooner management can direct its efforts to resolving the root problem. Q: Can standard costing data be used to develop Key Performance Indicators (KPIs)? A: Yes. Your standard costing data can be leveraged to develop Key Performance Indicators which can be valuable in measuring past performance. But what’s more important is using this data to establish your Key Performance Drivers (KPDs). Your KPDs help you create measures of daily activities that are required to produce those desired KPIs. This is one of the most critical benefits of an effective, timely root-cause analyses of manufacturing variances. Q: How does this all work on an ongoing basis, such as in mass production? A: Another very important concept is absorption. In simple terms, absorption is the continuous measuring of whether actual material, labor and overhead spend is close to your standard costs estimated to produce your product for that same period. For example, let’s say your actual dollars spent for materials, labor, and overhead is $1.3 million. Your standard cost to produce your finished product for the same period is $1.0 million. This means your standards are not adequately reflecting, or absorbing, the actual costs to produce. So, what does this all mean? If your standard costs are too low (as in this example), it would have an adverse impact on gross profit. This is because your pricing decisions are based on what you currently think it costs you to produce. Here again, your root-cause analysis will hold the answer. It will reveal a variety of factors (i.e., you have an actual volume that is lower than budgeted, material costs that are higher than expected, more overhead spend or machine hours than budgeted, etc.) that will help you respond in a timely fashion and inform what your next steps should be. Q: What final insights can you leave us with? A: For manufacturing companies, there’s so much to consider in the realm of cost and profitability management and often, standard costing methodologies may not always be given “the deeper look” they deserve. To be fair, it does get a little complicated – and the application of standard costing methods does require some experience in “connecting the dots” between what’s happening on the plant floor and in the financial statements. (This is one area where you may want to consider outside help like 8020 Consulting.) The most important takeaway is this: once you understand the dynamics of standard costs — how they should be measured and reported, and how to leverage them in the feedback loop – this method can be a very powerful tool in driving profitability improvement initiatives.